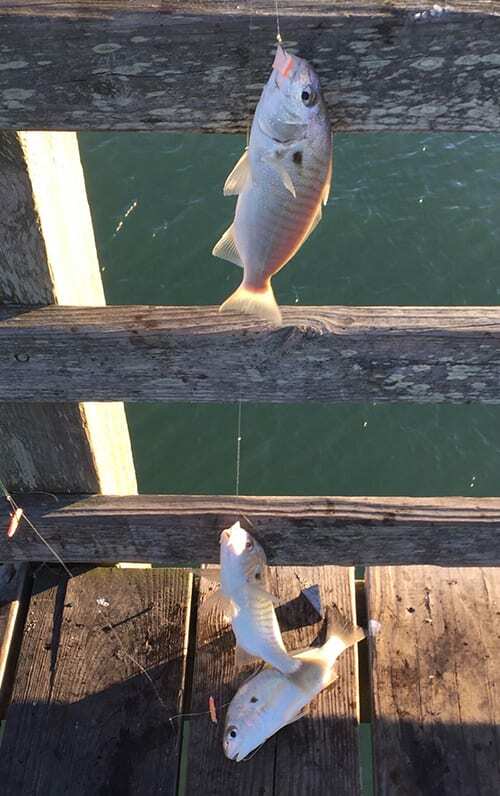 Congrats to Jeff who won the October Fishbites Photo contest in the Best Fish Category! Jeff caught three fish at once and shared his experience with us! “I have used Fishbites for several years. I would catch fish when no one else was. I always got the same question, “What is that bubble gum?” They always wanted to know where I got it and even had people try to buy it from me on the pier. So when my secret got out, it became popular at the pier here in NC. I have every color and flavor I guess you could call it.. or scent! I will combine the green and red bloodworm and I call it Christmas tree, works well, but my usual go to is the sand flea. The orange and white works on all fish. Love my Fishbites! We really appreciate Jeff sharing his story and this amazing catch with us! Congratulations!